The R35 GT-R uses a completely new transmission for Nissan, the Borg Warner GR6 dual clutch transaxle gearbox. The GR6 is an automated manual transmission, even though the misinformed masses call it an “automatic” transmission it is internally much more efficient and shifts faster than an automatic transmission. 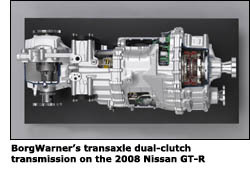 This transmission has met with a lot of controversy in the automotive world, both in the real world and online. The first launch control feature(LC1), that was undocumented officially, but existed allowed the car to be revved to 4500 rpms before engaging the clutch. This caused a large amount of wheel spin on some surfaces, that caused wheel hop, and when abused broke gears. I wrote up some of my ideas on how Nissan could fix this issue with transmission failures. The people I spoke to at Nissan said the cars that broke had been abused, more than 20 launches in a row. Nissan decided to initiate a software fix for the transmission that brought the launch RPM down to 3000 rpm(LC2). While this sounded like a step in the wrong direction, it actually had the opposite effect, the car got quicker. 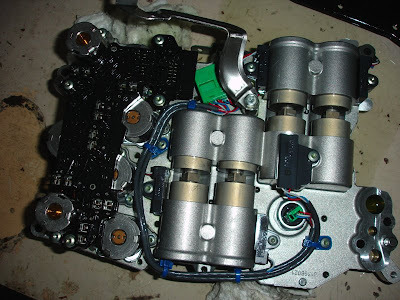 The next issue that has come up several times is material getting stuck in the shifting solenoids. This material causes the transmission to go into a fail safe mode, and generally will only engage half the gears. This often shows up as a Code P0732 / P0729. Another issue that has come up recently is with high horsepower/torque(700+hp) cars not wanting to shift gears. This is a TCM/ECM related issue that is being worked on. SP Engineering posted up some information on the problem. This issue has been pretty much solved thought tuning the ECM and TCM. 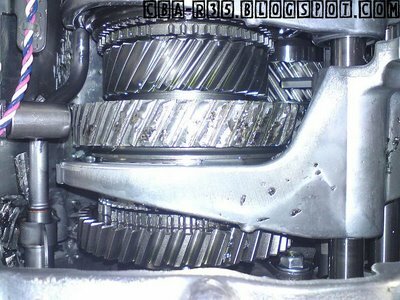 After any work to the transmission, and also as part of the performance optimization service, the clutches in the transmission generally need to be adjusted with a Consult III. The Consult III is a Panasonic Toughbook laptop with software to work with Nissan and Infiniti vehicles. However, to work on the Nissan GT-R, you need a special “GT-R card” .The Consult III and GT-R card are very difficult to get a hold of. Mostly only certified Nissan dealers have it. A few aftermarket companies around the world have Consult III’s, but they are not common, and they are expensive. There are 15 different settings for the clutch touch point and capacity,which adjust how the car drives, and the firmness of the shifts. At the factory clutch settings, the standard clutch starts to slip with the factory fluids at around 650 wheel horsepower. However, recently cars have done as much as 951 awhp on the standard clutches, with a Cobb tune on the engine(ECU) and transmission(TCU). At 951 awhp, the factory clutches were slipping at this level, but prior to the ECU tune, they would slip at a much lower level. There are upgraded clutch pack, and OEM replacements available. Installing the AccessPORT on the TCM starts with downloading the OEM TCM ROM for safekeeping, so the TCM can be returned to its stock configuration at any time. Once the OEM TCM ROM is stored, the AccessPORT flashes a new Level 1 map onto the TCM that is based on the Nissan LC2 logic upgrade, but increases launch revs to 3,300RPM and includes more aggressive clutch engagement and throttle curves than stock LC2 logic. The result is a positive launch that gets the GT-R off and running harder than the stock LC2 logic, but with smoother clutch engagement than the previous LC1 logic. Still not enough for you? A simple reflash of the TCM with the Level 2 map will have you experiencing the increased punch from raising the launch revs to 3,750RPM! NEW AccessPORT TCM Flashing Features! - ENHANCED LAUNCH CONTROL: Updates TCM to Nissan LC2 launch control logic with two user selectable launch control modes! Level 1 sets launch control revs to 3,300rpm (300 more than stock LC2) with more aggressive clutch engagement and throttle curve. Level 2 raises launch control revs to 3,700 rpm with the same clutch and throttle characteristics as Level 1. 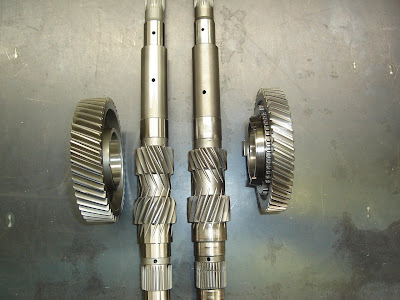 - CLUTCH GEAR LEARNING: Perform this factory recommended annual optimization without a trip to the dealership. Shift quality degrades as transmission components wear. Performing this optimization recalibrates the transmission, resulting in smoother shifts and improved driveability. - TOUCH POINT ADJUSTMENT: Use the AccessPORT to adjust the amount of clutch drag while stationary. Eliminate excessive creep or set clutch drag for the perfect launch responsiveness with +/- 7 levels of adjustment. - CLUTCH CAPACITY ADJUSTMENT: An essential adjustment for higher horsepower GT-Rs to eliminate clutch slip during full throttle upshifts. Increase or decrease clutch clamping force with +/- 7 levels of hydraulic pressure adjustment. A clutch transfers the power from the engine to the transmission, and allows for the engine and transmission to be decoupled. As the horsepower of the engine is increased, the clutch will start to slip, and eventually fail. While on the track, the transmission will get hot. The factory heat exchanger uses engine coolant as a fluid to try and cool down the transmission fluid. The problem with this is the coolant temperature will be high, and the temperature difference will be minimal. The cooler the fluid the more protection for the gears. Nissan Motor Company Ltd. announced the launch of the Nissan GT-R, a new multi-dimensional performance machine that lives up to the concept of 'an ultimate supercar for anyone, anywhere, at anytime'. The Nissan GT-R features a newly developed Premium Midship package, including the worlds first independent transaxle 4WD developed independently by Nissan. 9's are there now Jeff...the recipe has been published. Now just have to follow it.